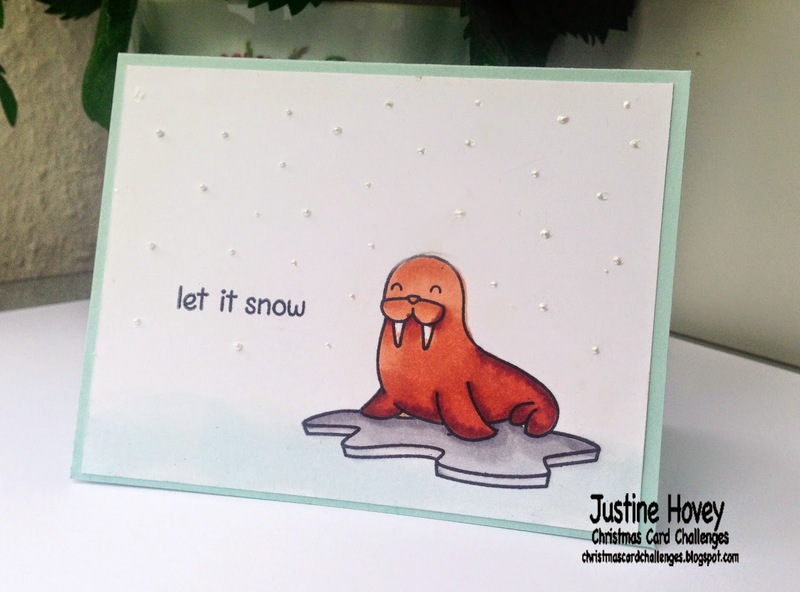 Justine's Cardmaking: Anything Goes over at Christmas Card Challenges! Anything Goes over at Christmas Card Challenges! Anything Goes Challenge at Christmas Card Challenges! This week is Anything Goes week - that is my favourite! This week I created this adorable walrus card featuring Lawn Fawn Critters in the Arctic Stamp Set. I coloured him with Copic markers. Come join us for the challenge! So cute. Love the image.